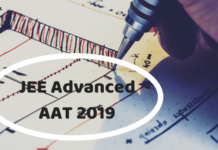 IIT JEE Advanced is the second stage of the two tier admission test for admission into the prestigious IITs. Any engineering aspirant who fulfills the eligibility criteria is eligible to take JEE Main but the scenario is quite different in case of JEE Advanced. 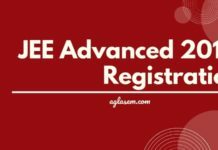 The top 150000 candidates of JEE Main shall stand eligible for JEE Advanced. Since it is a matter of their career, students try their level best to give it their best shot. In spite of covering the entire syllabus of IIT JEE Advanced, practicing several previous year papers and working extremely hard, majority of the candidates fail to get through because of working in a haphazard manner. A perfect blend of hard work with smart work is what can help you get through quite easily. 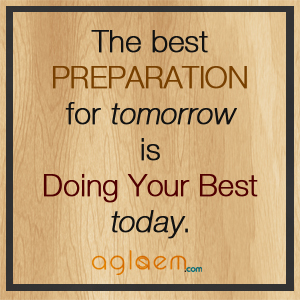 Hence, it is important to work in an organized manner in order to crack such national entrance exams. We discuss some of the tips which can help the aspirants in fetching maximum scores in JEE Advanced. It is important to analyze the paper pattern and syllabus before beginning with the revision. One must begin his revisionwith the topics which carry a good weightage in the exam. Once you are done with the analysis, try to chalk out your revision plan. Planning is crucial in order to revise the entire syllabus. Revising in a haphazard manner can create problems. Candidates are advised to cover the entire syllabus from NCERT books first and then they may consult other reference books. NCERTs help in clearing concepts which is a must for cracking these national level entrances. Physics – Electrostatics, Heat & Thermodynamics, Rotational Motion, Laws of Motion, Magnetic Effect of Current & Magnetism, Ray Optics, Simple Harmonic Motion, Wave Motion and Wave Optics. Chemistry – General Organic chemistry, Alcohol, Ether, Redox Reactions, Coordination Compounds, s-block and p-block elements, Aldehyde Ketone, Chemical Bonding, Solutions, Phenol, Solid State and Chemical Thermodynamics. Mathematics – Probability, Circles, Definite Integration, Theory of Equations, Vectors, Complex Numbers, Three-Dimensional Geometry, Sequences & Series, Matrices & Determinants and Applications of Derivatives. Revision does not mean going through the entire material once again.Aspirants must not try to cover any new topic as it won’t prove beneficial. Even if you cover some portion you won’t be able to master it well enough for the exam. This is the time to revisit your flash cards or revision notes so that you don’t miss out the important facts and formulae. Solving past year papers is extremely essential in order to get acquainted with the trend of questions asked in the exam.It also helps in identifying the weak areas so that students can further improve. Questions asked in JEE Advanced are multiple choice typewhich aim at testing the reasoning and analytical abilities of students. Hence, students must go into the intricacies and try to identify why a particular method is applied in a particular question. Besides covering certain portion of syllabus on daily basis, students must practice at least one sample paper too. This is crucial to keep a check on speed so that you are able to cover the entire paper on the D-day. Taking frequent breaks is extremely essential so as to regain the lost energy. Practice some exercises and meditation as it helps in reducing the stress levels and improves concentration. It is extremely important to remain confident as lack of confidence can spoil the game. Competing with lakhs of candidates is not an easy task and hence, only those who are confident and optimistic are able to give their best shot. Determination and morale are extremely important. Candidates must work hard without worrying about result. Hard work coupled with smarty work can help you ace the exam with ease! Content Courtesy: The article has been written by askIITians Experts. Check out IIT JEE Online Coaching.